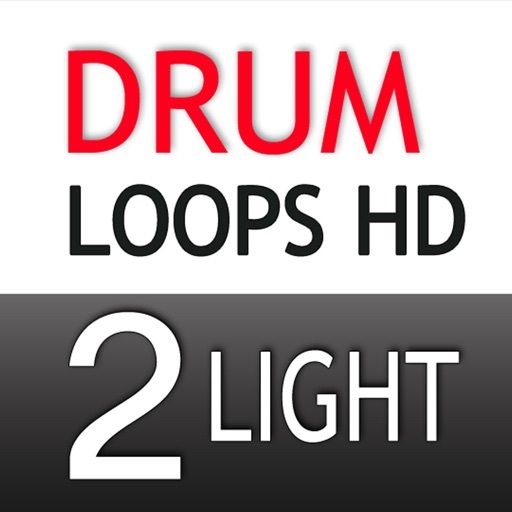 Drum Loops HD 2 Light is a free trailer version for Drum Loops HD 2, the younger brother of Drum Loops HD (released 2013 and frequently updated). 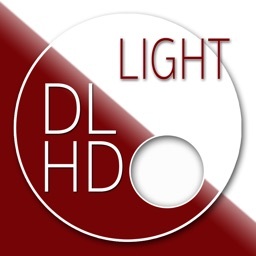 It features full Audiobus and Inter App Audio support. 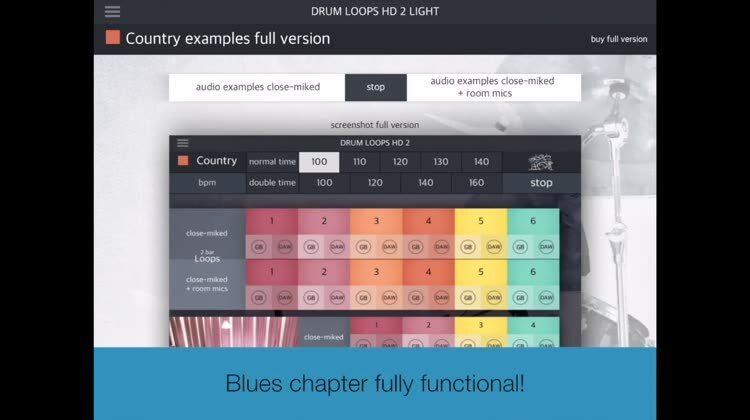 The Blues chapter is fully functional in the Light version and content can be copied and pasted to any daw. 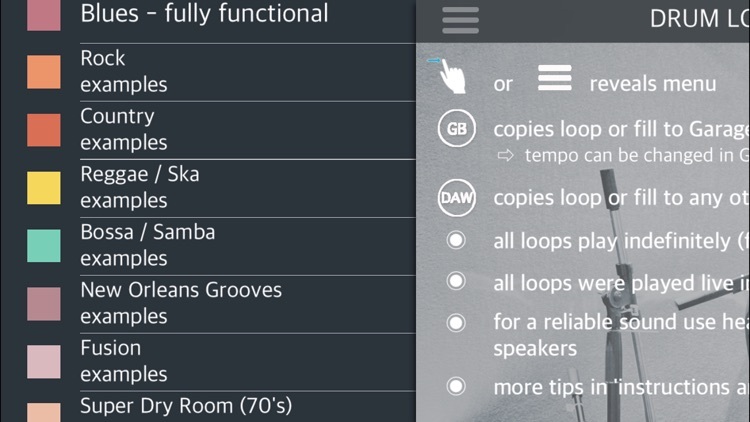 Copying to GB gives the option to change tempo freely, a perfect live drummer for GB. The other chapters have extensive audio examples in two distinct mixes. 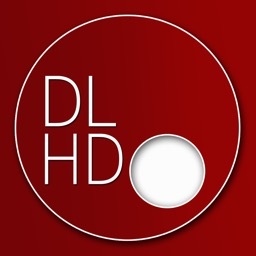 Full version features: Blues/Rock/Country/Bossa/Samba/Reggae/New Orleans Grooves/Fusion and Super Dry Loops! 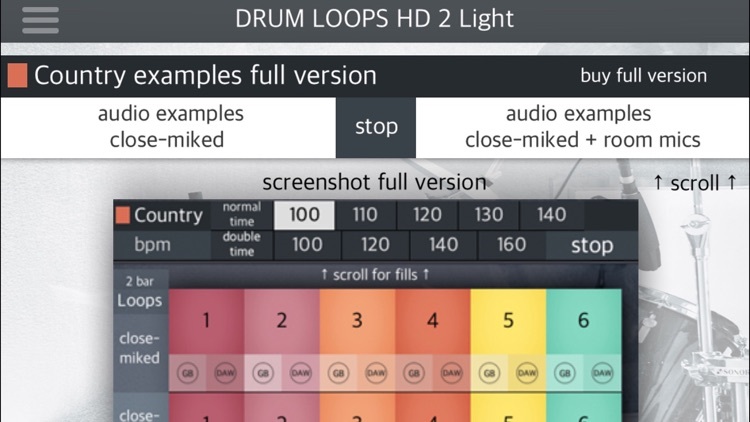 Perfect for, producers, teachers, songwriters……more than 700 loops, fills and samples in 8 new styles in many, many tempi, more fills and loops than ever before!. 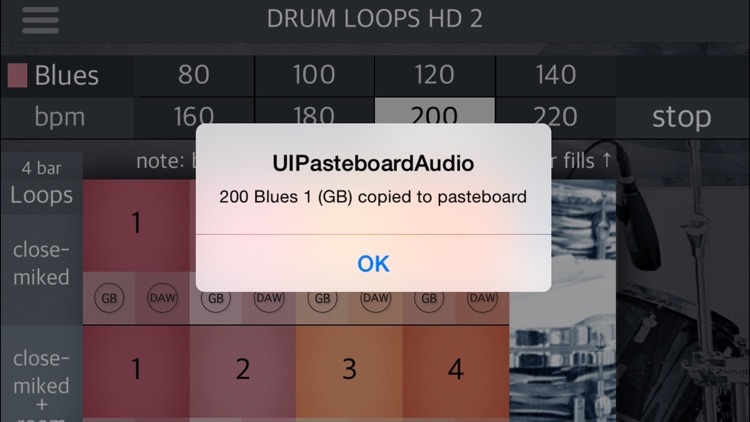 Copy any loop to any paste equipped DAW and compose your own track with anything you could ask from a studio drummer in no time. 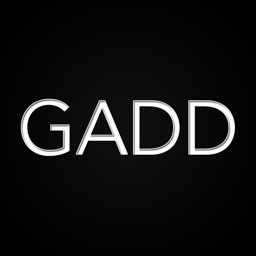 If you use GB as your DAW of choice you get an incredible advantage, you can copy a loop or fill into GB and from there on change the tempo anyway you like without losing quality and maintaining the feel of the drummer! 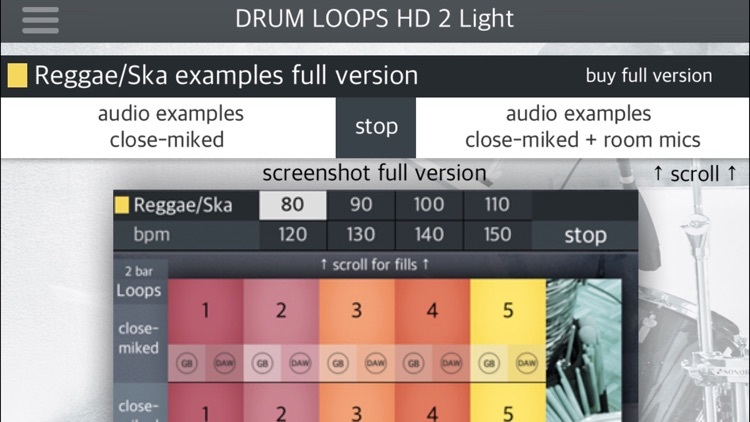 * All loops and fills can be copied as Apple Loops to GB, following tempo changes. 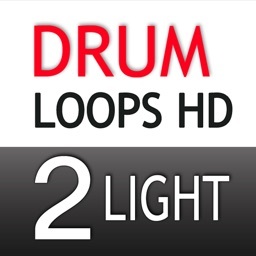 * Two sounds for all loops,fills and samples in every style and tempo (close miked/close miked + room mics)). 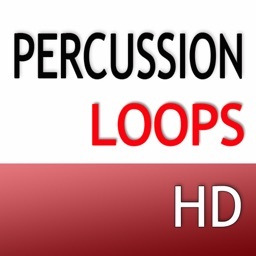 * All loops and fills actually played in all bpms, by a living and breathing studio drummer! 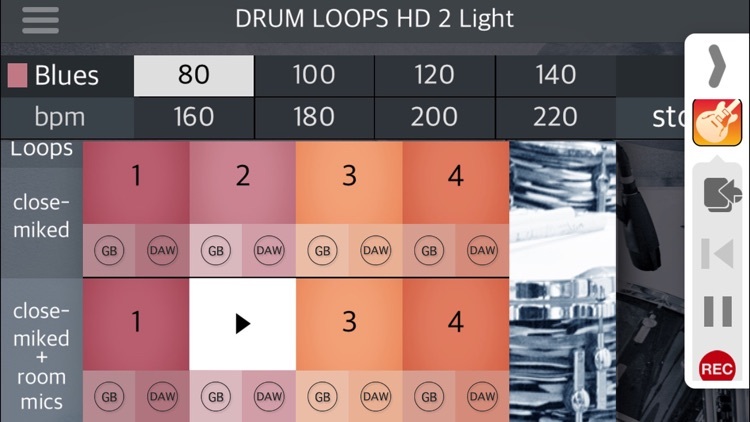 Most loops are 2 bar loops (no single bar loop in the app, no repetition effect) and some are 4 bars in length. All loops (except the Super Dry Room chapter) come in 2 mixes, close-miked and close-miked plus room mics mixed in (natural room reverb), all in perfect sync. * Super Dry Room (distinct 70’s sound) a staggering 10 loops and 6 fills at 70, 80, 90, 100, 110, 120, 130, 140 bpm! 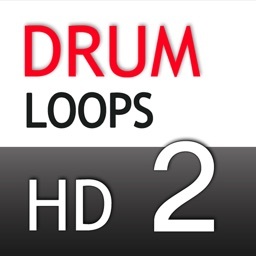 Check out this version to get a full impression of Drum Loops HD 2 (full version), try out the blues chapter and listen to the audio examples, you will push that 'buy' button in no time........a real drummer for your iPad, iPhone or iPod Touch!